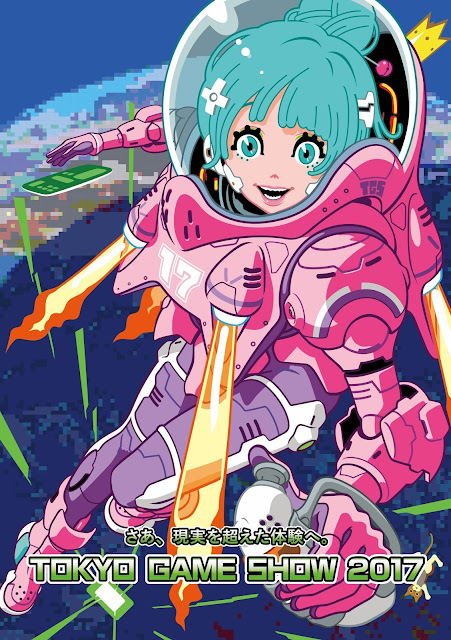 The organiseers of Tokyo Game Show have unveiled the official art and theme of TGS2017, and, unsurprisingly for anyone who has been following entertainment trends throughout Asia, VR and AR is going to be placed front and centre. Related reading: My thoughts from TGS 2016. 1) Firstly, the shift to a focus on entertainment for Asia. I get the feeling from TGS that, as much as the Japanese are still keen to push games out to the west (and have more localisers taking on more projects than ever before), Japanese developers, publishers, and game businesses see big opportunities throughout South East Asia, Korea, and China, as well as growing opportunities to focus on the domestic market. 2) Secondly, in line with point 1), there's an increased interest in mobile. Statistics show that Japanese players are more willing to spend money on mobile games, and that means there's more incentive to focus on this. Additionally, emerging markets throughout Asia are far more interested in mobile gaming. 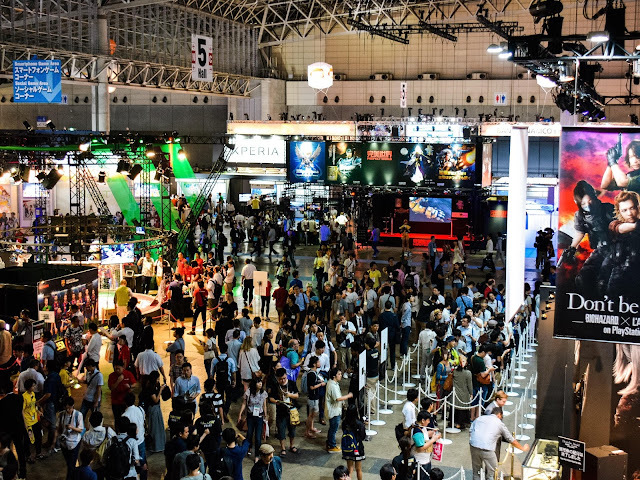 The size and scale of the mobile presence at TGS each year is, consequently, massive. 3) Now there's VR too. I know there are people debating whether VR's actually proving to be a success in the west, but I'd also argue that the point is rather irrelevant, because the interest in VR throughout Asia is beyond belief. The 'experiences surpassing even reality,' that Gyoubu above refers to is the aspirational element of VR; it's the experience that the Japanese (and, indeed, Asians in general) are looking forward to. Less so the 'gameplay' stuff that western critics and audiences are fixated on (as well as the disappointment in a perceived lack of 'gameplay' in current VR titles). So this year's TGS is almost certain to hone in on the VR experience, now that it's available for mainstream consumption in Japan courtesy of PlayStation VR and similar. As it's an industry event, I'm looking forward to seeing discussions by various industry people about how they plan on going about realising the potential of the technology.